In July we enjoy taking part in the Cowley Road Carnival. 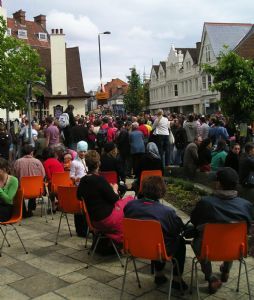 When the Carnival is on the Cowley Road, we often serve free Fairtrade refreshments on the church forecourt. During Christian Aid Week in May each year we raise money for the poorest people in the world by a house-to-house collection and other events such as having a stall at the Wesley Memorial Church Christian Aid street market, lunches or sponsored events. Harvest gifts are given to the Porch Steppin' Stone and the Gatehouse projects which work with homeless people in Oxford. 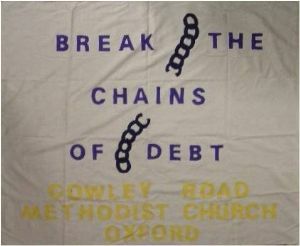 The church is part of Churches Together in East Oxford.